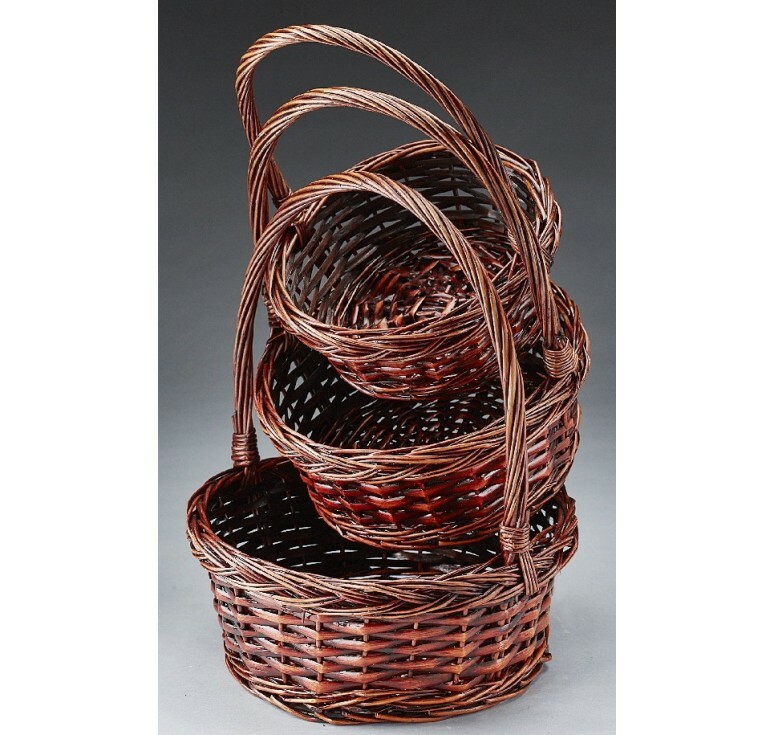 Round Willow Set/3; Lg: 10.375"x 4.5" Sm: 8.0625"x 3.5" Plastic liner included. 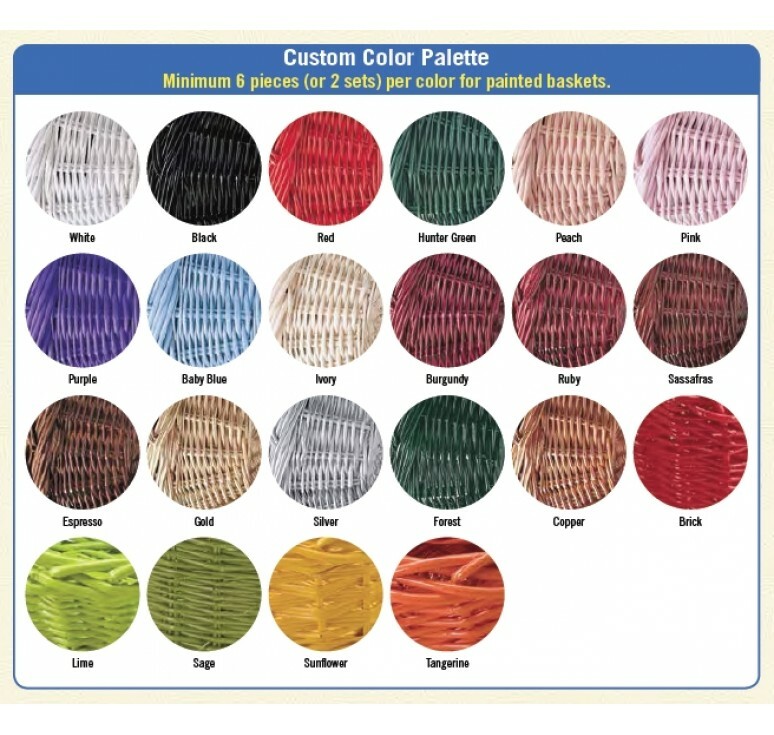 Please choose natural or painted color from the drop down list. 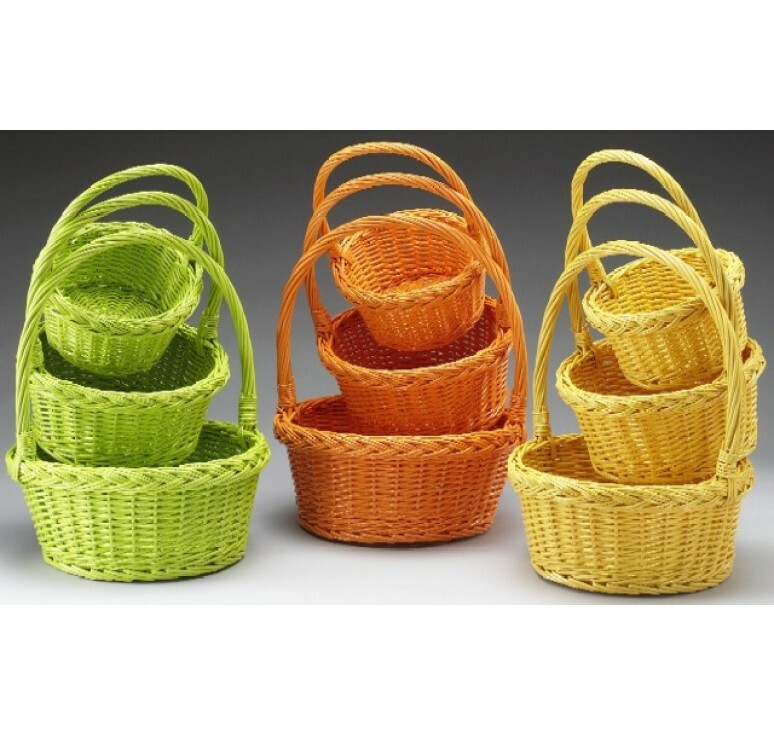 Pictured in Lime, Tangerine & Sunflower.